It's finally here. 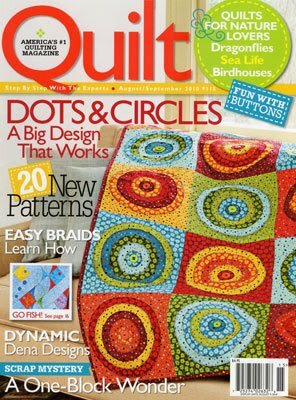 QUILT magazine, the July/August edition. Why is this important? 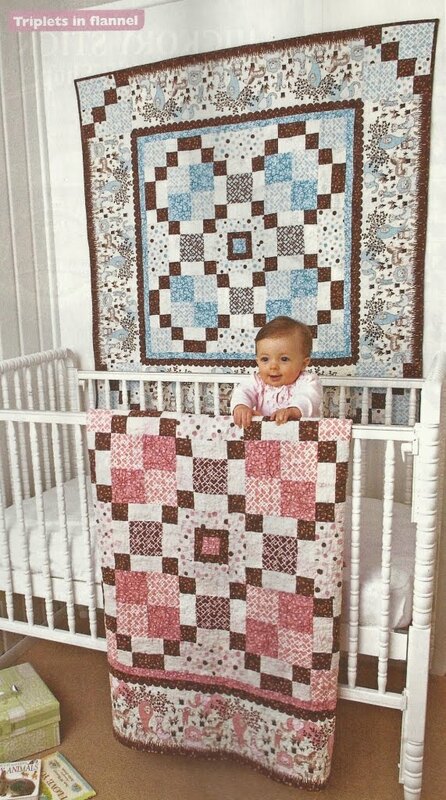 We have a new quilt design in it. 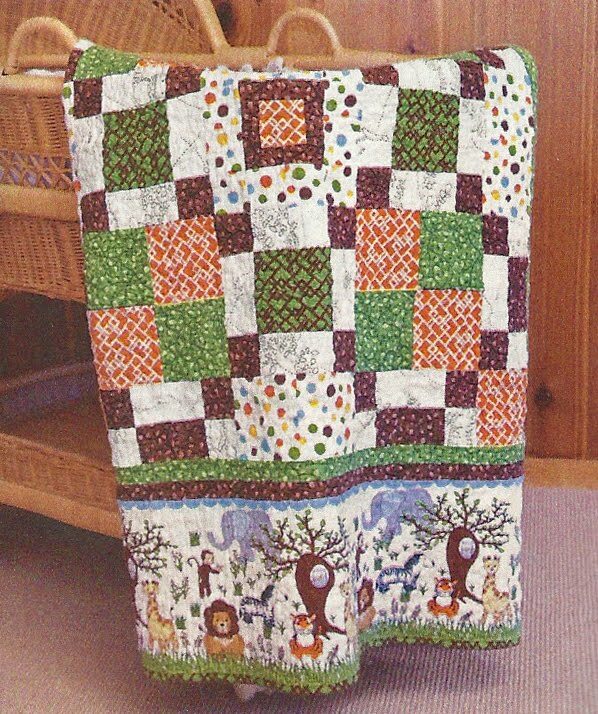 Actually we have three quilts. Last December, our friend Demetria at RJR fabrics called and asked if we would do a design for a great new line of fabric called BOABAB. She sent us the pictures and we were so excited. Great modern prints, and a border to die for. All this, three color waves, and it is the softest FLANNEL we had ever felt. The end result was BABY STEPS in three color waves. Yes, the magazine loved it so much they asked for all three color waves. Here is the picture from the magazine. And the best news of all, WE ARE SELLING THE KITS FOR ALL THREE QUILTS. We have them NOW, but the fabric won't be in stores until late August. All the details are in the magazine or on our website, http://www.abbeylanequilts.com/ . The kit is selling for $ 49.95 plus $10.50 for shipping and we picked the adorable matching polka dot fabric for the backing for each quilt. The total including backing and shipping will be $ 99.95. Great quilt, great fabric, great deal. We have more exciting things happening, so check back next week for the next surprise. Have a great week.